Best moment in life: when the food you ordered comes out of the kitchen and just gets placed on your table. 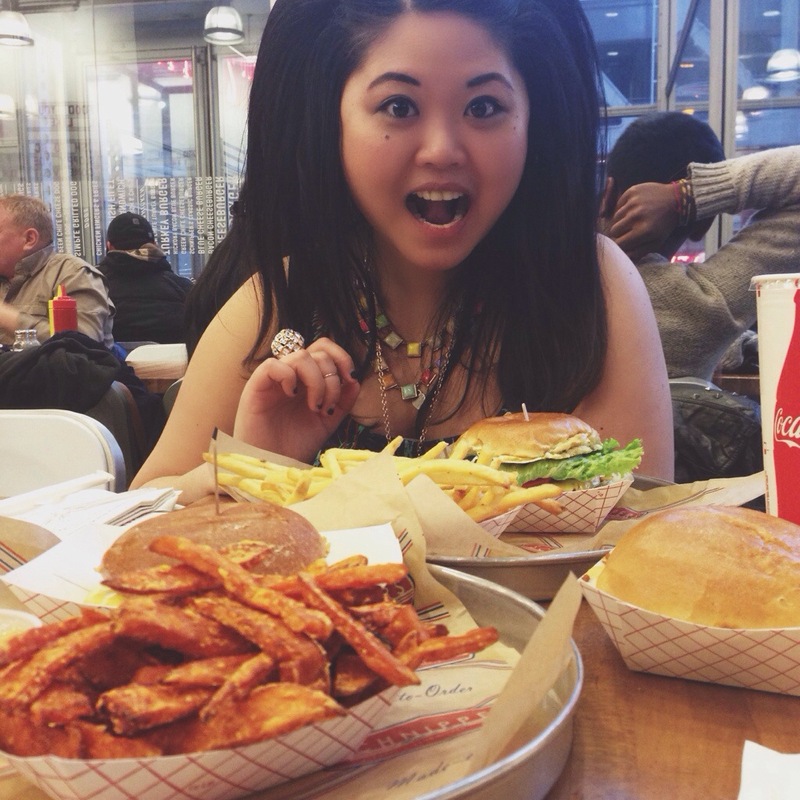 *cue Pharrell’s Happy song* Second best moment is when you sneak a fry or two before the server leaves. Saw Hayao Miyazaki‘s The Wind Rises last week but not before heading into Schnipper’s for a quick dinner. I used to always order lunch here with my coworkers (back when I actually ate lunch haha) but I’ve never actually dined at their restaurant. I like it here – it looks and feels like a school cafeteria except the food is better. It’s funny because right as I sat down, this little girl kept staring at me. Finally, halfway through our meal, her mother turns around and says to me, “She likes your dress and purse and wants to know if you’re in college because you’re dressed so nice.” Sweetest thing ever said to me because I’m old, decrepit, and definitely not in college anymore even though I was pretty much eating like a noob who’s completely oblivious to the Freshman 20.